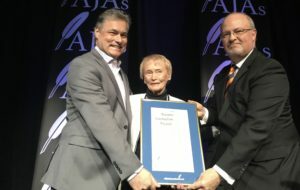 The Atlantic Journalism Awards is encouraging journalists in the region to save their best stories and images for this year’s AJAs competition. The AJAs online entry system will open for entries on December 1, 2017. The deadline for entries is Wednesday, Jan 31, 2018. There are 28 individual categories for newspaper, radio, television, magazines and online items. Entries can be from either traditional pages, sound and visuals, online or a combination of both. Three finalists will be selected by the judges in each category with one overall gold winner and two runner-ups. Details of the categories and judges guidelines can be found at www.AJAs.ca. This years gala dinner and awards celebration will be held on Saturday, April 28, 2018 at the Halifax Marriott Harbourfront Hotel. View last May’s AJAs gala awards event in St. John’s NL on the AJAs web site at www.AJAs.ca. The Commission approves an application to change the authorized contours of the commercial radio station CFMS-FM Markham, Ontario. The technical changes approved in this decision will help improve the station’s signal quality within its authorized coverage area. All the research I’ve ever seen appears to show that a mobile phone is used as a radio “for when you can’t get to a radio”. Online streaming does really well in the workplace, particularly if you’re using a good, high quality desktop player on your website. Radio through the TV – perhaps via cable, perhaps on broadcast space owned by your owning company – brings live radio into the front room – or into a child’s bedroom while they do their homework. What do people need to know to tune into your radio station? In most cases it’s your frequency. But in the digital age, where lots of in vehicle systems or clock radios no longer have knobs to tune up or down the dial until you find your favourite radio station, it requires you to know the actual frequency of the station for you to listen to it. I was recently visiting a radio station for the first time. I had listened online and checked out the station website, and completed all my usual workup on the station. I knew the call letters, station name, branding and frequency, or so I thought. As I got within listening range I tuned to the station frequency, but there was only static. A few minutes later as luck would have it, I passed a billboard on the highway that had their station name and frequency in very large letters. So as not to embarrass anyone, I have changed the name and frequency, so we’ll call this station Polka 88. My North American built vehicle has voice activation to control many of the functions. By the way, it handles my funny accent much better than the European motor vehicle I used to drive. Voice activation in my old Beamer was less than stellar, and provided for some amusing and sometimes frustrating results as I tried to make phone calls using the voice activation tools. Ford, on the other hand, has done a much better job of developing voice activated systems in their vehicles. I pressed the button on my steering wheel and asked the system to tune to 88 which it did. But all that came out of my speakers was static. I pressed the seek button and it rolled up the dial and stopped on another station. I tried again with the same result. It turned out that the station frequency was 87.8, but someone decided to round up and market this station as Polka 88. This got me thinking about how radio stations miss out on the opportunity to grow tuning by attracting new listeners, and reminding current or P2 listeners how to find the radio station, because their frequency is not accurate in their marketing. Buying a large billboard on the highway can be expensive by the time you get the art work produced and pay the monthly rental space, and while it may seem obvious to some, why would a station not list their actual frequency as large as possible, even if it does not match the station name? Where possible, it’s always better to include your exact frequency in your station name. 104.5 CHUM FM is a good example of this. But it becomes a problem when you call your station Polka 88 but your frequency is really 87.8. Ideally the station in this fictitious example should be rebranding to Polka 87.8. More and more vehicles are rolling off the assembly line with improved voice activation systems so the driver can easily find an address, make phone calls, and give commands to the entertainment system like changing the radio station. The SYNC 3 system in my vehicle is very intuitive. I can say “1010” and provided I am in listening range of that station it will find and play CFRB for me. If I want to listen to something else, I can say “find 88.1” and Indie 88 will start to play. I can control my apps and playlists as well as other audio sources, all via simple voice commands. But if I want to listen to a terrestrial radio station, I need to know its actual frequency unless it is saved in my pre-set list. These days it goes beyond the vehicle dashboard, because more and more products are coming to market that are voice controlled. From voice-powered personal assistants like Siri and Alexa, to behavioral algorithms, suggestive searches and autonomously-powered self-driving vehicles, we are quickly moving to a voice activated world, where you can use voice commands to change the channel, make a phone call, or control devices in your home or business. Voice activated products are catching on quickly because of the developments in AI (Artificial Intelligence), and because they use the most natural of human behaviours – the voice – to command, interact, and control devices in your home or office. Speaking is something almost everyone can do, and requires no learning curve. Chances are AI is in your life today and you may not even be aware of it. Here are three examples: Apple’s Siri helps us find information, gives directions, add events to our calendars, and helps send messages;Siri uses machine-learning technology to predict and understand our natural-language questions and requests; and Amazon is using AI to predict what we’re interested in purchasing based on our online behavior. Another example is Netflix that uses predictive technology based on customer’s reactions to films. It analyzes billions of records to suggest movies that you might like based on your previous reactions and choices. Experts say it’s early days and the growth of AI will completely change the way we do things. Expect to see the mouse and keyboard disappear from computers, and buttons from phones within the next 10 years. Apple have a smart home kit that allows you to open the shades, start the coffee pot, or adjust the temperature in the house. The latest Samsung TV’s can be totally controlled by your voice. No more fumbling with a remote control. The latest kitchen fridges are connected to the internet, have a touchscreen, and built-in scanner that can read bar codes. They can create a shopping list and warn you of expired or recalled items. Some now have voice control and SmartThings integration which is an open platform allowing you to control your home and automate thousands of devices and brands. Smart speakers such as Amazon Alexa, Google Home, and Microsoft Cortana are becoming more and more popular and are likely to be the most popular gift under the tree for gadget guys and girls this year. You simply ask a question or give a command and the device will send the audio of your question or command up to the cloud so computers can instantly work out what you want and the device will respond. And while today these devices may not be as smart (or frightening) as Hal 9000 in the movie “2001 A Space Odyssey”, they are using artificial intelligence and voice activation to allow a human to control a device. These smart devices can tell you the weather, the latest news, find you any song or genre of music you wish to listen to, and query Wikipedia. 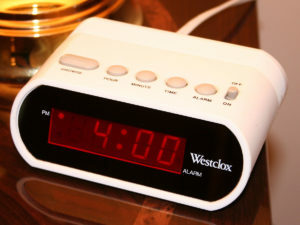 It will also wake you up, and allow you to set reminders, so you never forget your wedding anniversary or someone’s birthday. Of course, they can also tune into your favourite radio station with a simple voice command. If you say “Alexa tune to 98.1” it will find CHFI if you are in Toronto and immediately start playing it over your smart speaker. By the way, this is a great way to get your radio station back into homes and offices, but your station frequency or name needs to be top of mind with your listeners. More and more stations are working with companies who specialize in building what is called a “skill” which is like an app for the Amazon Echo. Developers create custom skills which Echo owners can download and install on their device from the Alexa skills store. And while an app has a visual interface, skills have a voice based interface, where you speak with the device to have it do something. Already lots of radio stations are doing this. For example, the Cox station in Houston; “The Eagle”’ has their skill on the store and if you say “Alexa, play the Eagle” you’ll be listening to 106.9 The Eagle. You can also say “Alexa, ask the Eagle what’s playing” and it will tell you. And if you think that AI is not being used in media, already AP, Fox, and Yahoo are using AI to write simple stories like financial summaries, sports recaps, and fantasy sports reports. AI isn’t writing in-depth investigative articles, but it has no problem with very simple articles that don’t require a lot of synthesis. Automated Insights, the company behind the Wordsmith software says that e-commerce, financial services, real estate, and other “data-driven” industries are already benefitting from the app. All this technology is available today, and who knows what the future will hold. So “Kenneth”, this is why you need to get your actual station frequency in your branding, so listeners can easily find you, via their radio, online or voice activated device. By the way, for non-R.E.M. fans, Michael Stipe wrote the song, “What’s the Frequency, Kenneth,” because of something that happened to CBS News anchor Dan Rather in 1986. If you want to know the rest of the story, ask Siri or any one of your AI-enabled devices or Google it. If you like, you can also pick up the phone and give me a call, and I’ll be happy to tell you. Nov 2 “National Men Make Dinner Day”: Have a local chef share easy-win recipes men can make at home. Call Sandy Sharkey at BOB-FM at 613-738-2372 or e-mail ssharkey@939bobfm.com or www.menmakedinnerday.com. Nov 5 “Daylight Savings Time Ends. Standard Time Resumes”: Standard Time resumes at 2am on the first Sunday in November in each time zone. “Fall back” one hour. Nov 5 “Zero-Tasking Day”: Today is the day on which daylight saving time ends – when we turn our clocks back and “gain” an hour. Instetad of filling that extra 60 minutes with more work and stress, use that hour to do nothing but breathe and relax. For info call Nancy Christie at 330-793-3675 or email nancy@communityofchange.com. Nov 13 “Sadie Hawkins Day”: Inspired by Al Capp’s “Li’l Abner” comic strip where women take initiative in asking men out on dates. Nov 19-25 “Bullying Awareness Week”: This year’s theme is “Stand Up! (to bullying)”. See www.bullyingawarenessweek.org. Nov 21”World Hello Day”: An annual observance, in which everyone who participates greets 10 people. The idea is that everyone says hello to ten people they do not know before days end. Check out www.worldhelloday.org. Nov 23 “United States: Thanksgiving Day”: Legal public holiday in all states. Nov 24 “Sinkie Day”: “Sinkies” (people who occasionally dine over the kitchen sink and elsewhere) are encouraged to celebrate this time-honoured, casual-yet-tasteful cuisine culture. Email Norm Hankoff, Intl Assn of People Who Dine Over the Kitchen Sink at normh@sinkie.com. Those of you hoping to own more radio stations so you could compete on a more level playing field with digital will have to wait a little longer. On Thursday, the FCC announced specifics on Chairman Pai’s plan to change the commission’s Media Ownership Rules and the radio caps will stay the same. The high-end number of radio stations broadcasters can own will remain at eight. 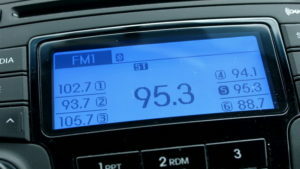 Under the current rule, the total number of radio stations that may be commonly owned in a local radio market is tiered, depending on the total number of stations in the market. The example most commonly used is: in markets with 45 or more stations, one company can own no more than eight stations, no more than five of which may be in the same service (AM or FM). 1. Further to Broadcasting Notice of Consultation 2017-359, the Commission received procedural requests from the Forum for Research and Policy in Communications and the Coalition pour la culture et les médias requesting an extension to the deadline for submitting comments. 2. The Commission recognizes the vital role that public consultation plays in all of its processes and in this process in particular. In Broadcasting Notice of Consultation 2017-359, the Commission announced the first step it intends to take in consulting Canadians and various stakeholders to develop the report requested by the Governor in Council. The Commission anticipates that this report will play an important role in the development of future policy and regulatory approaches to program distribution. Federal regulators have voted to eliminate a long-standing rule covering radio and television stations in a move that could ultimately reshape America’s media landscape. The regulation, which was first adopted almost 80 years ago, requires broadcasters to have a physical studio in or near the areas where they have a license to transmit TV or radio signals. Known as the “main studio rule,” the regulation ensured that residents of a community could have a say in their local broadcast station’s operations. 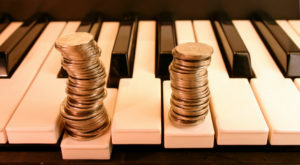 One request is believed to be straightforward – to amend the definition of “sound recording” to widen the scope of who gets royalties for the use of music on film and television. The other is more controversial and reignites a tension between the music business and radio broadcasters.